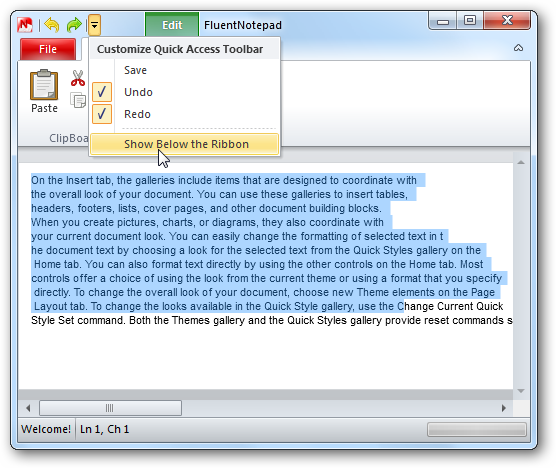 The Ribbon UI is being incorporated into several applications these days in MS Office and other third party apps. 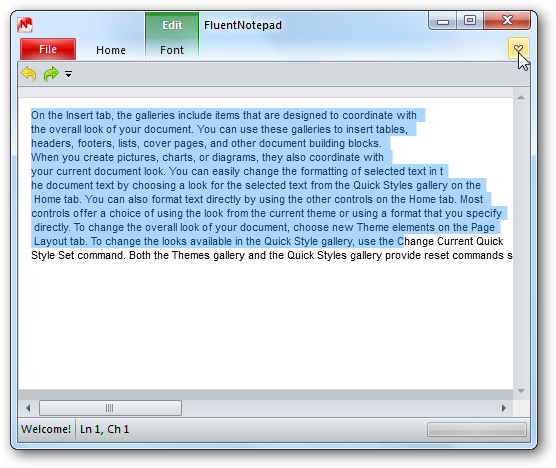 Today we take a look at FluentNotepad which includes the Ribbon UI in a Notepad environment. There is no installation required so you can run it from a flash drive as well. Download the zip file and extract it to a directory such as Program Files then run the executable. 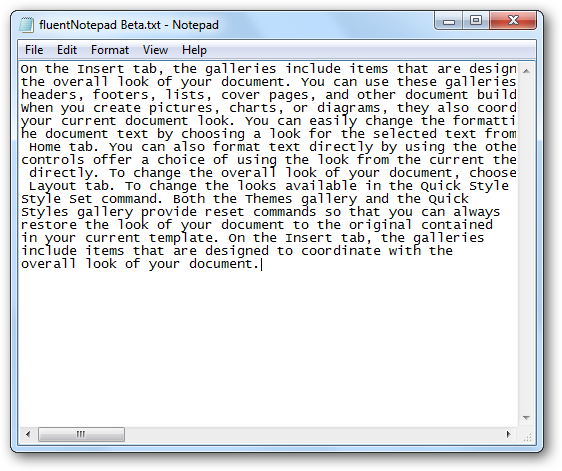 When it launches you will immediately see the difference in the UI compared to the traditional look of Notepad. From the Ribbon UI you can easily customize the fonts for your text. it operates just like the Ribbon UI in new versions of MS Office. You can show the Quick Access Toolbar below the Ribbon. You can also hide it easily if you want it out of the way while jotting down your text. If you go to the file tab you can explore the different options there. Since it’s still in beta, not everything was available to customize. 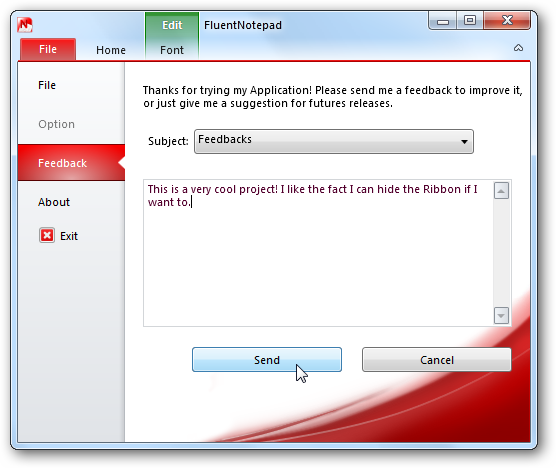 But you can send the author feedback on their project while in FluentNotepad and make suggestions. 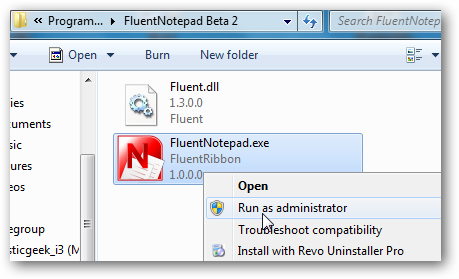 Of course you can still open files you created in FluentNotepad in the standard version as well. 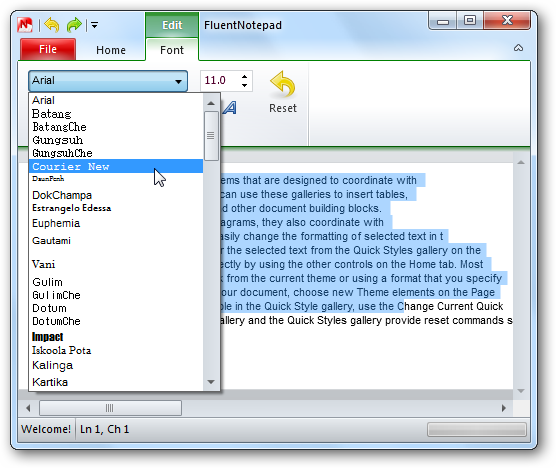 The Ribbon UI seems to becoming a standard in many applications these days including MS WordPad and Paint in Windows 7. 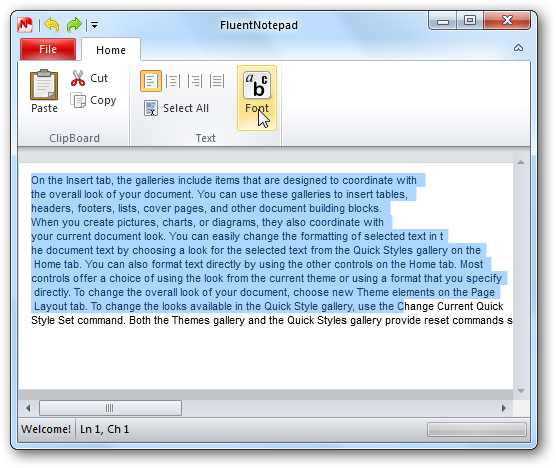 If you have become accustomed to the Ribbon UI introduced in MS Office 2007 and would like the functionality in a Notepad environment, FluentNotepad is worth a look.